Exercises and Workout for a healthy body are explained in this new article which can be done at home and in office without the requirement of gym and equipment. Librarians are the face of the library, and it is important they possess an impressive and strong personality. For Librarians Personality Development the primary and foremost thing is health. Nowadays in modern libraries, most of the works by the librarians are done on the computer and their sedentary lifestyle makes them unfit. 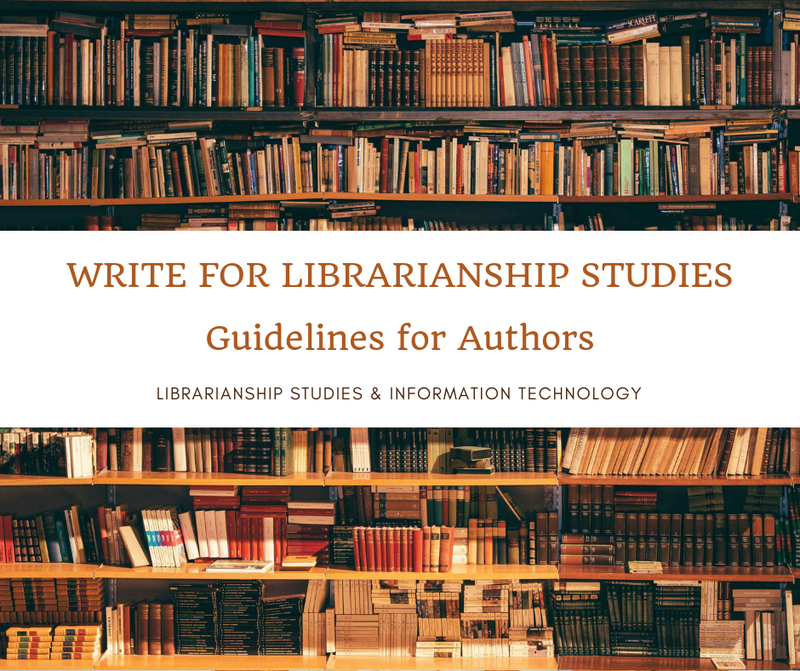 After the age of 40 many library professionals develop symptoms of cervical and spondylitis, big tummy, put on weight, etc. due to their unhealthy lifestyle and lack of physical activity. Exercises for librarians and computer users in office and home are given in this blog post to help library professionals become active, healthy, and regain proper body shape. Bookmark this blog post and visit frequently in office and home, and do as many exercises and workouts to see the positive impact and transformation in your personality yourself. These whole body exercises are especially useful for professionals who are too busy at the office and home, spend too much time on a computer, and don't get time to go to a gym. Ergonomic Tips for Librarians and Computer Users: Do these simple exercises when you are in office. It will take around 5 minutes to do this. You can do it and repeat it every one or two or three hours. You will see visible results and feel the rejuvenation instantly. Many exercises are illustrated on this page, but I consider Ergonomic Tips for Librarians and Computer Users, simplest and most effective. 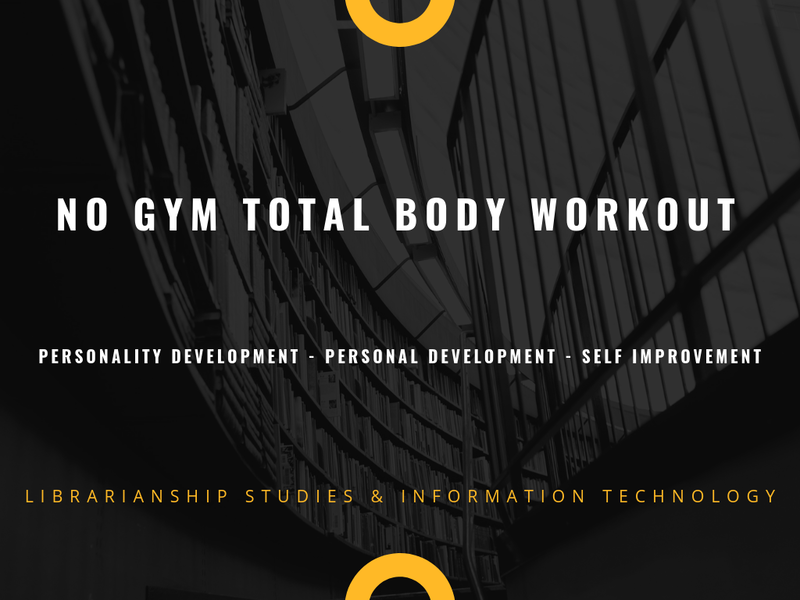 Workout for Librarians Personality Development: 48 Impressive Workouts That Can Make You Healthy. If you are a beginner, start doing for 30 seconds each. Then after some time, you can increase it to 1 minute each. It would be better if you can repeat these workouts two or three times a day. Exercises for Beginner Librarians at Home: 8 Top Ranked Videos of efficient and effective workout that uses just your bodyweight to help develop strength, stamina and learn proper form for basic exercises like lunges, squats, planks, and push-ups. This circuit style routine keeps your entire body moving every second to keep your heart rate up for maximum results. Some of the included videos are: 10 Minute Total Body Strength Workout for Beginners; 10 Minute Beginners Workout, Full Body Flexibility Stretches, At Home Stretching Routine Exercises; Simple 7 Min Beginner Workout; Yoga for Complete Beginners - Yoga Class 20 Minutes; 30-Minute Full-Body Workout to Burn Calories. Exercises for Flat Stomach for Librarians: 5 Top Ranked Videos of Exercises and Abs Workout to Lose Belly Fat. De-Stress At Your Desk: Sometimes we know we need a break but don't know where to start. 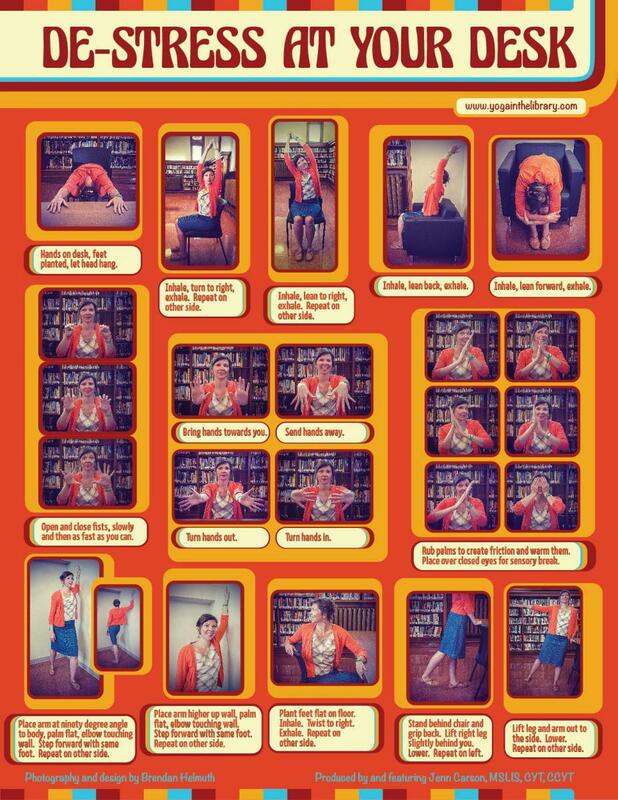 Use this handy guide for some simple stretches you can do at your workstation or the circulation desk¹. Wake Up and Make it Happen Workout: No-equipment body-weight workout for starting your morning on a high. Most of the exercises demonstrated here are got from DAREBEE. It is a registered non-profit; which rely exclusively on user-donations to stay up and continue their work. So please help them by making donations to them as they are doing a great job.